Natural organic pet food has started to gain a lot of traction in the recent years, with more and more pet owners realizing that the benefits of an organic diet don’t only apply to humans, but also to their dear furry companions. We all want for our pets to be healthy and happy, but the higher price of the natural pet foods can be a bit off-putting. To help you understand why it is so crucial to switch to a diet that contains organic food, we have compiled the easy-to-read list of benefits below. 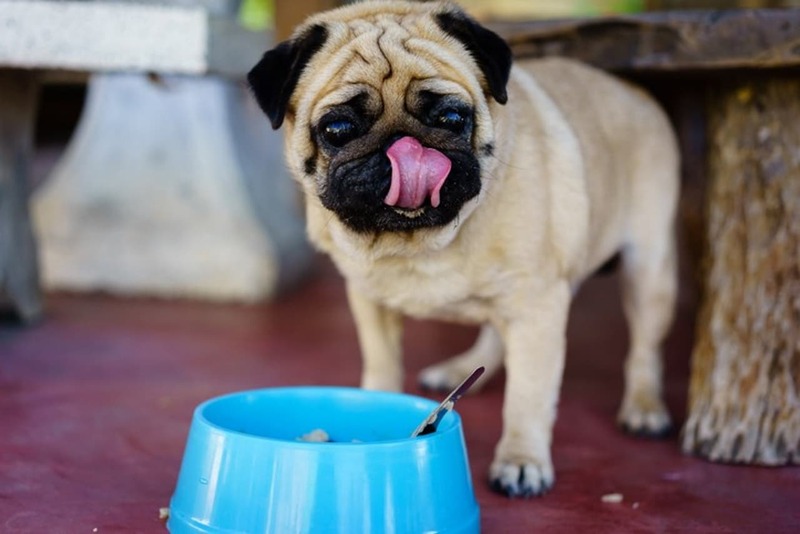 Once you are done reading, you can also consider taking a quick look at our recent article where you can choose the right natural pet food for your dog at an affordable price point. One of the key benefits of a natural diet can be seen in the health of the coat and skin of your canine companion. 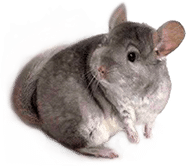 A healthy coat is a shiny coat (unless the breed standard dictates otherwise), and shedding is also less frequent. One main ingredient in natural foods that helps considerably with the health of the fur is fish oil. Many of the natural pet food options available on the market contain added fish oil for this exact purpose. Even if you have a breed that naturally experiences shedding, the dog will have less hair loss if the food it eats contains healthy supplements and fewer fillers. Similarly, the skin as well gets to enjoy the benefits since a balanced diet with natural ingredients can help keep the skin hydrated and prevent drying. 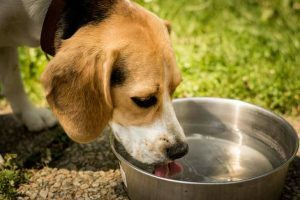 Dogs that experience flaking or dry skin may find that a natural or raw food diet works best to reduce and possibly eliminate this problem altogether. To help with skin health, look for foods that contain fish oil and vitamin E, as these are great ingredients to look for if you wish to maintain the overall skin health of your precious four-legged companion. You’ll also get more antioxidant-rich ingredients which are very good for the overall health of the pet, but also beneficial for healthy eyes. Similarly to people, as dogs age, they can experience some trouble with their eyesight, and for some breeds, this can be a much bigger problem than for others. One sure way to ensure that the eyesight of your canine pal will get the support it needs is to feed it a natural organic diet that comes with ingredients that can help in this regard. Blueberries and broccoli, for example, are excellent sources of lutein and zeaxanthin which are recognized as two very important carotenoids that can help improve eye health. Your pet’s heart is also important, and just as you pay particular attention to the amount and quality of the proteins that go into your diet, the same level of care should be directed to your dog’s diet as well. The natural options tend to use less fatty meat, opting instead for leaner proteins. Having a diet that focuses on lean proteins means that your pet will experience fewer weight-related issues. The main organ that will benefit the most from this dietary change is the heart, which will become stronger and healthier. The superior sources of proteins and grains found in natural pet food combined with the lack of chemicals and artificial substances, make this type of food much more digestible. If you’ve ever caught your pet vomiting occasionally after meals or experiencing bloating, gas, or diarrhea, it might be allergic to some of the ingredients used in heavily-processed foods. Since the organic alternative is naturally more nutritious, dogs have been noticed to eat less natural dog food when compared with other commercial varieties. The reason why this happens has a lot to do with the superior nutritional value that this option offers. Natural or organic foods don’t contain bulk-fillers, and your pet will only consume what it needs to maintain healthy energy levels. It will also taste more like food and dogs will feel satiated eating smaller amounts of a tasty and nutrient-dense diet. Similarly, if your pooch has allergies and you are not yet sure what new brand of food to choose to make things better, natural varieties are always the way to go. They boost the overall health and the immune system of dogs which can help improve most allergies. Remember that you should always contact your vet if an allergy persists. The key piece of information to remember is that most of the food-related allergies stem from troubles with digesting specific proteins and grains, ingredients that are usually replaced with healthier and tummy-friendly alternatives in natural foods. While the chances are that your dog does not suffer from skin ailments, digestive problems, or weight-related troubles, a natural diet can still be of great benefit, even if the benefits may not be as apparent to you at first. Organic food provides a source of better quality nutritional substances than even the premium brands of classic dog food. Since natural food is more digestible for dogs, they are more likely to absorb the majority of the nutrients that are required to maintain a healthy immune system, instead of simply eliminating them. Thus, the immune system will get a boost, and that can help prevent costly illnesses and infections that require veterinarian care. The quality of the diet you offer to your pet will have a direct impact on how your faithful companion looks, acts, and feels. By sticking to a diet that focuses on natural food, you will be able to ensure that your dog will live a long, happy and healthy life. 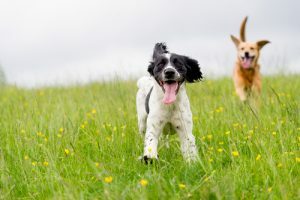 A healthy weight, a luxurious and shiny coat, the energy to run and play, and a strong immune system can increase your dog’s quality of life into old age and the life expectancy tremendously. You should remember that it is never too late to switch to a healthier diet, and we are certain that once you commit to it, you will not regret your decision. Want to find out more things about your canine companion? Check out our article on how long dogs are in heat.